Over the weekend, we got the confirmation that the very first production Tesla Model 3 had rolled off the company's assembly line. 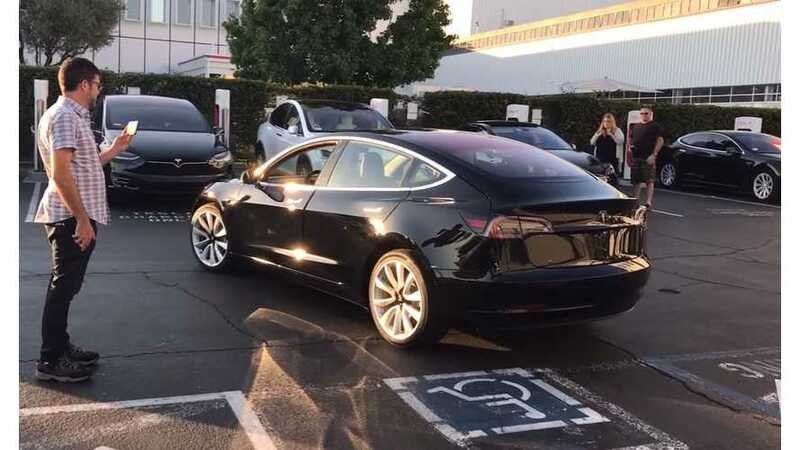 Then we heard that it would belong to CEO Elon Musk, and the two pictures of the car were officially released, proudly standing out front of Tesla's Fremont assembly facility. 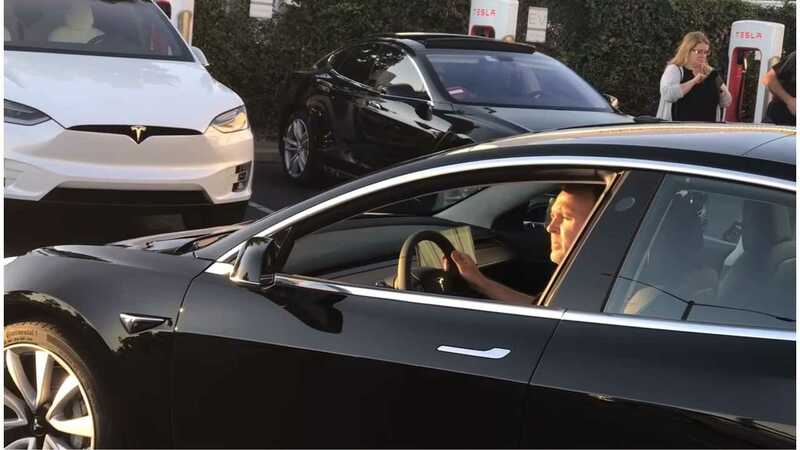 Thankfully, more than a few Tesla fans were in the vicinity at the time when the shots were being taken, and one of them - (Youtuber TehBestGamer505) took some high definition footage of Model 3 SN #0001. "Got lucky to record a video for the first Model 3 to roll out of the production line"
The video features a real good look at the fit and finish of the car, as well as a peak inside...which basically confirms the production version has the identical interior configuration/steering wheel as the early release candidates.